Each and everything that we do should be done in proper limits. Be it our office work or eating habits or even exercise, then all of this looks good when it is done in control. Otherwise, there are side effects. If we talk about our body, then we have the potential of damaging it due to extra work. There is wear and tear and our body is not able to bear that. This in turn causes trouble to us in the form of pain. There are different reasons for this kind of pain. One of the most common areas in our body where pain occurs is our back and neck. These two areas are susceptible to different intensity of pain. When this pain starts to occur, then it can become unbearable which is why proper treatment is necessary. IBS hospital gives you the best back pain treatment in Delhi. Here, you will be treated with back as well as neck pain. 1. Strained muscles and ligaments affect our back. 2. Structural problems such as ruptured disc, arthritis etc. 3. Spine Cancer can also be one the reasons. 4. Everyday activities such as lifting and pulling can also cause back pain. 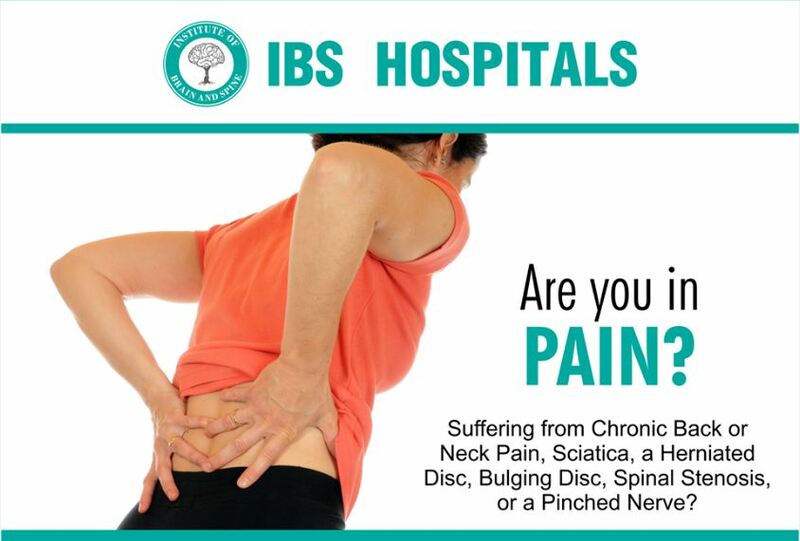 This pain can be treated with the help of lifestyle experts and integrative therapies which are of top quality at IBS Hospitals which is the best hospital in Delhi. 1. Neck injuries such as whiplash or herniated disc. 2. Pinched nerve near the neck also causes neck pain. 3. It is also caused when there are some common infections. There are different neck pain exercises and therapies that are given to get rid of this pain. At IBS Hospitals, you will get efficient neck pain treatment in Delhi.